***UPDATE: Please click here to view changes in the notarized letter requirement as of 6/11/2018. Even with the changes, many of the tips below remain useful. In the wake of the System for Award Management (SAM) data breach in late March, GSA has instituted a requirement for every new and renewing registrant to submit a notarized letter appointing an “Entity Administrator” – the person authorized to make changes to the registrants SAM profile, particularly with regard to banking information. As a result, the agency has been receiving tens of thousands of notarized letters, each of which must be reviewed to ensure validity and compliance. Despite best efforts, processing the letters has gotten backed-up, and some firms are experiencing delays in their registrations or renewals of weeks or even months. APTAC has been in close communication with GSA officials to help ensure that information on how to best navigate the new requirements gets out to the small business contracting community. Please take advantage of the tips below, and see our full information page: SAM Notarized Letter Requirement – Q&A from GSA, which will continue to be updated as new information becomes available. Give yourself plenty of lead time: Start your renewal process early, knowing that it may take several weeks for the Federal Service Desk (FSD) to approve your letter. You don’t want to risk being ineligible for a contract award because your SAM registration has expired. 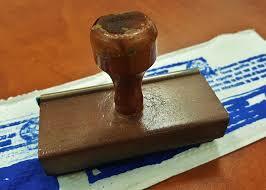 Send your notarized letter immediately upon completing electronic submittal. There is no need to wait until your CAGE code is received; you want to get your notarized letter into the queue as quickly as possible. Use a GSA template (click here) provided on the FSDs Frequently Asked Questions (FAQs). Note that there are separate templates for domestic versus international entities. Make sure that you use the appropriate one. Failure to include a statement clarifying account administration preference. The template directs you to select one of two choices for who can administer your account, either self administration confirmation or third party agent designation. Your letter must indicate one or the other. Remember: There is NEVER a fee to register as a government contractor. Repeat – there is NEVER a fee to register as a government contractor. And PTACs are available with free and low-cost help available to get you through the process.